Once in a while, you want to reach out to the far reaches of the planet and do something truly unique. This is your opportunity. In a land where frogs are the size of house fly’s and the jungle houses the most unique array of plants and animals, you can have the experience of a lifetime. Your professional guide will make sure you see all the things you might otherwise not see. This is not a cityscape you are looking at. 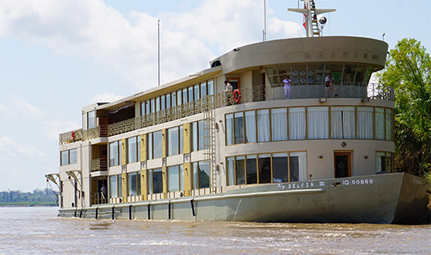 Come with Karen and Jim on this unique ESCORTED trip to the Amazon Rainforest in Peru. 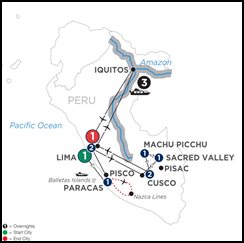 Cruise Vacations Winnipeg is looking for expressions of interest in this March 2020 ESCORTED adventure that includes a land portion to Machu Picchu as well as the unforgettable portion on the upper arms for the Amazon River. Details are still being finalized but the trip will likely start March 8, 2020, and be an 11–12-day adventure. If you are interested in knowing more or simply want us to hold a place on this small group expedition, call us at 204-954-2095. Pre and post packages can be arranged.